It’s the fall season once again, the time of the year when the leaves artfully change colors and the hills become full of red, orange and yellow speckles. It’s also the moment when locals know that soon it will be time to get dressed to the nines to sip the wine. The Ability Connection Colorado, a non-profit organization that offers an assortment of opportunities for people with disabilities, sponsors this annual wine and food pairing. 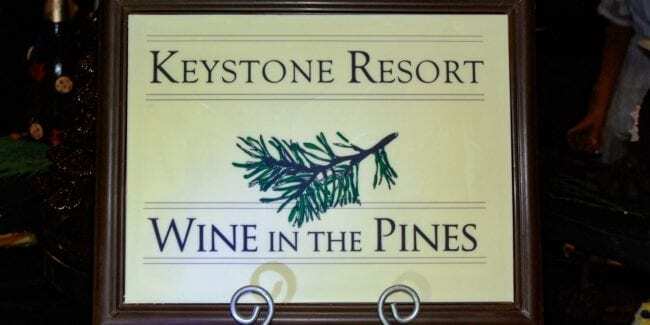 This year’s Wine In The Pines at Keystone Ranch and Keystone Conference Center from Friday to Saturday, October 18th to 19th, 2019, respectively. Already in its 36th year, it has gained the prestige of a leading wine and culinary event. The distinguished occasion was founded by Mike and Margaret Smith, who created the fundraiser in honor of their daughter Kelly Smith, who was born with cerebral palsy. It aims to benefit the employment-works program at the Kelly Smith Employment Center. Time and dedication are two of its key ingredients. Over the past 36 years, Summit County locals have witnessed its growth from just a small assembly to one of the most successful events of its kind, welcome over 800 attendees. Guests enjoy a sumptuous evening in the mountains with exquisite dishes, aromatic wines and lively entertainment. The selection of international wines is already a treat of its own, but will be even more gratifying when paired up with some of the best dishes. During its first night, from 6 to 11pm, the Winemaker’s Dinner at Keystone Ranch will feature 5 courses prepared by Keystone Ranch’s executive chef. The main event on Saturday, between 6 and 11pm in Keystone Conference Center, will showcase delectable dishes and mouth-watering desserts. There will be tasting of around 500 wines available. There is also going to be some live performance and a silent auction. Eighty-nine cents of every dollar goes directly to the life-changing work of Ability Connection Colorado. Wine In The Pines is a chance for people to not only enjoy themselves, but also to take pleasure in knowing that their money is supporting a good cause. Not only will drinking wine give you the satisfaction, so will the idea that you’re doing it for a good reason.